Volunteer 2-hour shift, get 2 passes to Moonlight Bat Float! 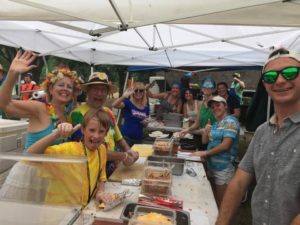 Volunteers still needed for Texas River School’s Chicken Fajita Booth at Eeyore’s Birthday Party on Saturday, April 28. This is a fun event and it promises to be a beautiful day! Contact anna@texasriverschool.org ASAP to sign up for a 2-hour shift. Check the schedule here.